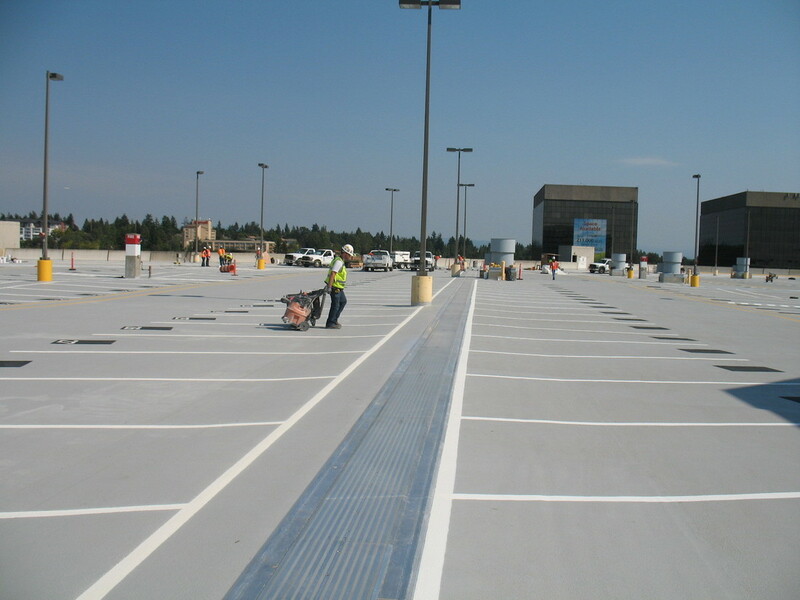 Seatac Parking Structure Rehabilitation | Cary Kopczynski & Company, Inc.
the course of almost 30 years that services Seattle-Tacoma International Airport. Altogether, the parking structure as a whole is 8-stories tall at approximately 600,000 sf per floor with capacity for approximately 2,300 vehicles per floor (18,400 total). 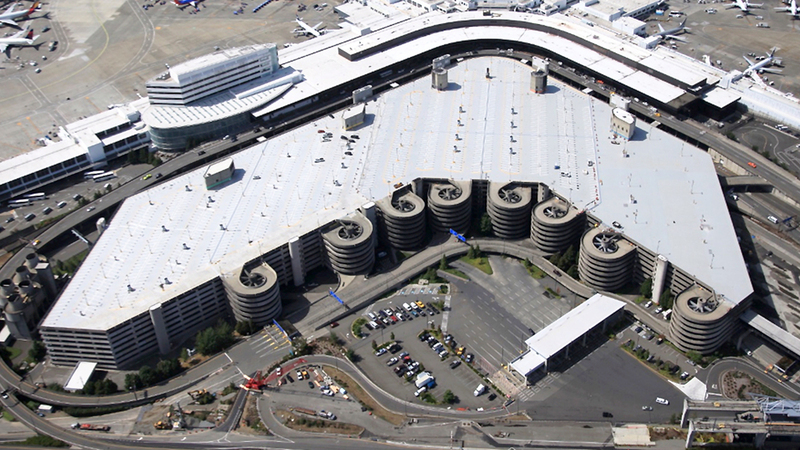 Due to ongoing operations and maintenance problems, the Port of Seattle retained Carl Walker Parking Consultants and CKC to review and evaluate each of the individual sections that comprise the entire parking structure. Notable issues included deterioration of the traffic coatings, random surface cracking, isolated water ponding, and substandard performance of the expansion joint system, including leakage of debris laden water. The primary role of CKC was evaluation of the existing building structures, and generating a proposed re-design of the expansion joints. incorporated to the design of the new expansion joint assemblies. Additionally, building thermal and seismic movements were evaluated, and incorporated to the design of the new expansion joint assemblies. Additionally, building thermal and seismic movements were evaluated, and incorporated to the design of the new expansion joints.